Hue Citadel is one of the most famous tourist destinations in Hue where attracts a large number of domestic and foreign tourists to visit each year. Dai Noi has been recognized by UNESCO as World Cultural Heritage since 1993. 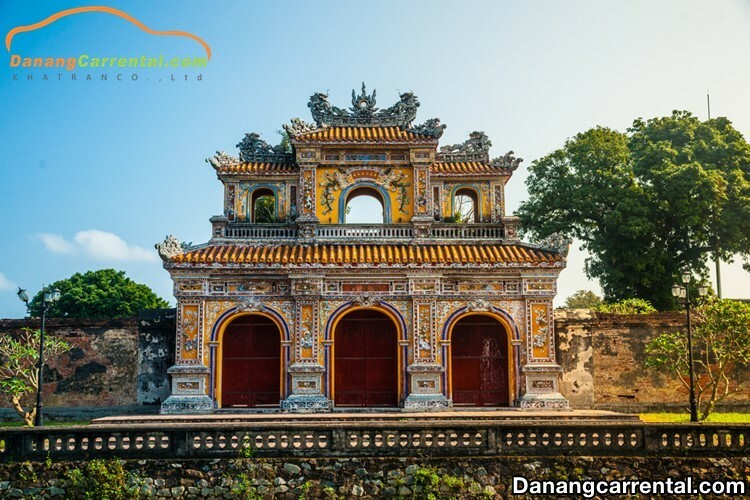 Coming to The Complex of Hue Monuments, visitors will be able to contemplate hundreds of magnificent palaces, temples as well as many special features of the Nguyen Dynasty. 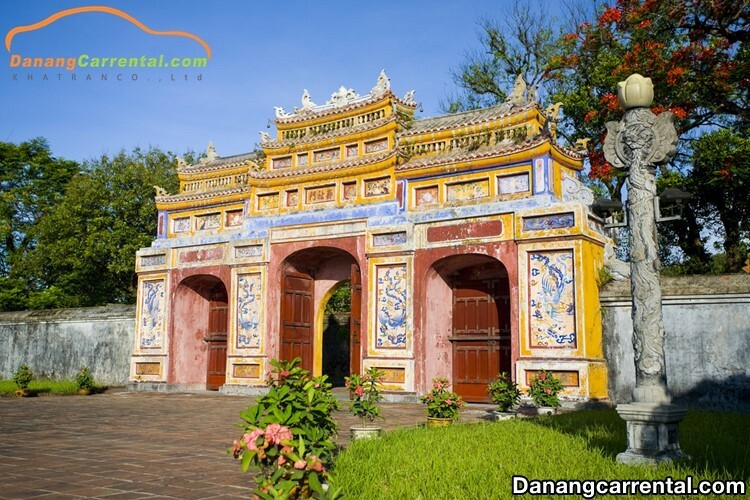 Let us explore Hue Citadel to understand more about the golden imperial palace for a long period of time along with Kha Tran car rental. 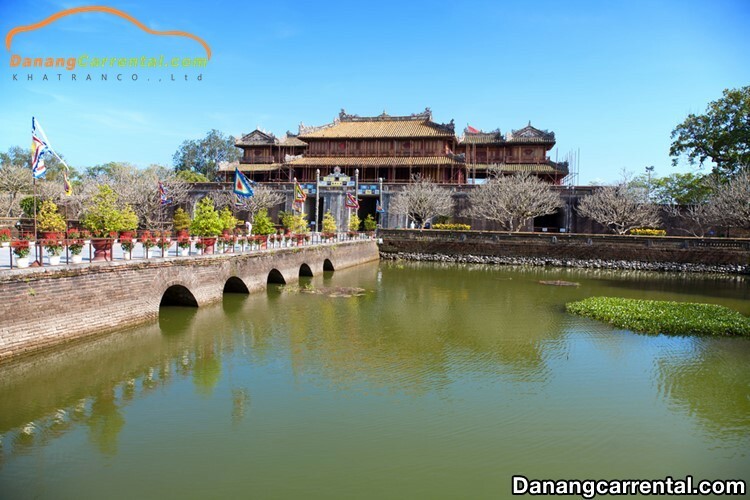 With favorable location which is located on both sides of the lower section of Huong River and leaning on the Truong Son Range, Hue was chosen as the capital city under the Nguyen Lords. In 1802, after coming to the throne, King Gia Long once again chose Hue so as to set up the capital. In order to construct a place for court meetings and imperial actvities, King Gia Long personally conducted a survey to select a new location in 1803. As a wide knowledge person, King Gia Long was very careful in choosing the location of the city to make durable. 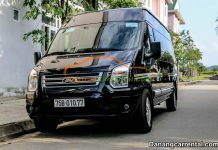 Then, he chose the large land on the Northern bank of the Huong River, including Phu Xuan, Van Xuan, An Hoa, An My, An Van, An Phai, An Bao, Tha Lai towns and a part of the Bach Ma and Kim Long rivers. In 1804, the capital city (a large area where includes the people and mandarins’ houses, and the most important part was the Citadel) began to be built with the main facing to Ngu Binh Mountain, over 100 meters high, Hen dene and Da Vien dene make the picturesque sights for the capital city. Due to the large size, about 5 200 000 meters, so under King Minh Mang’s reign, the Hue capital city wholly finished in 1833. Hue Citadel is the common name of the Royal Citadel and the Forbidden City. This is the most grandiose architecture in the history of Vietnam, has a long building up to 30 years with thousands of labours. Royal Citadel is the second wall inside Hue Citadel. Its function is to protect the most important palaces of the Nguyen court, the ancestral shrines as well as the Hue Forbidden City. The history of Hue Citadel was built under the King Gia Long’s age in 1804, but until Minh Mang’s reign, it was completed (in 1833). 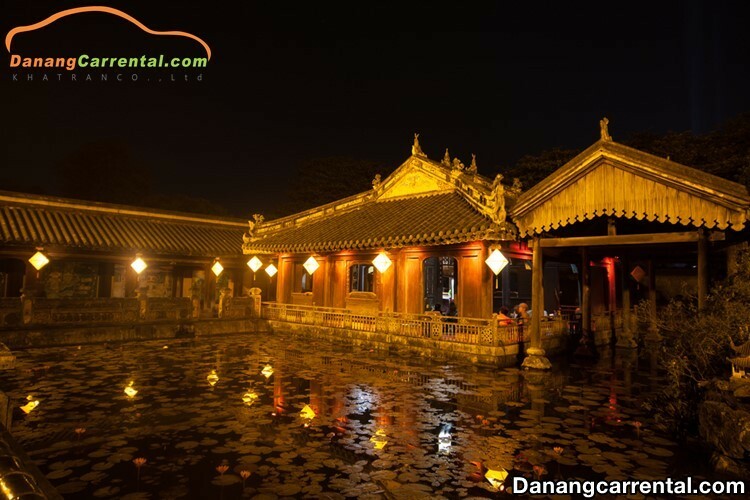 Hoang Thanh is built on a square land with each side approximately 600 meters long. 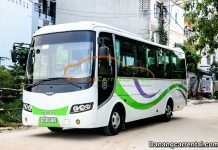 There are about 100 prominently large and small architectures, such as Ngo Mon Gate, Thai Hoa Palace, Cung Dien Tho, Cung Truong Sanh, Hung Mieu, The Mieu, Trieu Mieu, Hien Lam, and Cuu Dinh, etc. The main door of the Royal Citadel is the Ngo Mon Gate which faces to the South. The other three doors are Hien Nhon (the East), Chuong Duc (the West) and Hoa Binh (the North). The buildings inside the Hue Citadel are built on symmetrical axes according to the general principle of “men on the left – women on the right” and “literatures on the left and martial arts on the right” (from the inside), the center is the items reserved for the king. The impression of this work is designed in harmony with nature to create more elegant for the appearance of the Royal Citadel. Most of the palaces have lakes, flower gardens, stone bridges, rockeries and perennials that can add shade year-round. The Forbidden City is in the heart of the Imperial Citadel, has a circumference of 324m × 290.68m and is also built symmetrically through the main axis, extending from Ngo Mon Gate to the Tu Phuong Vo Su Floor. The Forbidden City is the third wall in Hue Citadel. The palace is only for the royal as well as imperial family. It is strictly protected through day and night, even the mandarins can not come if they do not have any duties there or the king does not invite. The area of the Hue Forbidden City is a rectangle with a circumference of about 1,229 meters, also built symmetrically through the main axis, extending from the Ngo Mon Gate to the Tu Phuong Vo Su Floor. The Forbidden City has 7 doors, including dozens of large and small architectures. In particular, the most notable place is the Can Chanh palace, where the king worked and met the mandarins. In addition, there are many other royal palaces, pavilions for serving health, meals and entertainments of the imperial family such as Thuong Thien (where cooks for the kings), Duyet Thi Duong (theater), Thai Binh Lau (where the kings read books) … and some items for spiritual beliefs. It can be said that the Forbidden City as a little universe of the imperial family which contains lots of special secrets to the researchers as well as domestic and foreign tourists. Visit Hue Citadel, you can also take part in the royal palace night which is held every Saturday and special cultural events reflecting the ceremony of the royal court, especially in the Hue Festival or Tet holiday, such as: exchange guards, display maypoles, performance Hue royal court music … The ritual of the ancient palace will be replayed authentic and unique cultural activities are also performed. This will be a very interesting point for your journey to discover Hue Citadel! 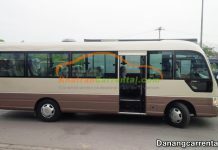 Ticket price to visit Hue Citadel: (including Hue Imperial Museum): 120.000 VND / person / visit (at the counter, you can ask for Hue Citadel map, tour guides or tramcars for rent because Hue Citadel area is quite wide …). 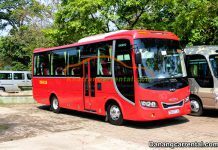 Where Hue Citadel is: The Citadel is located in the heart of Hue city. The main gate is Ngo Mon Gate, Hue Citadel. 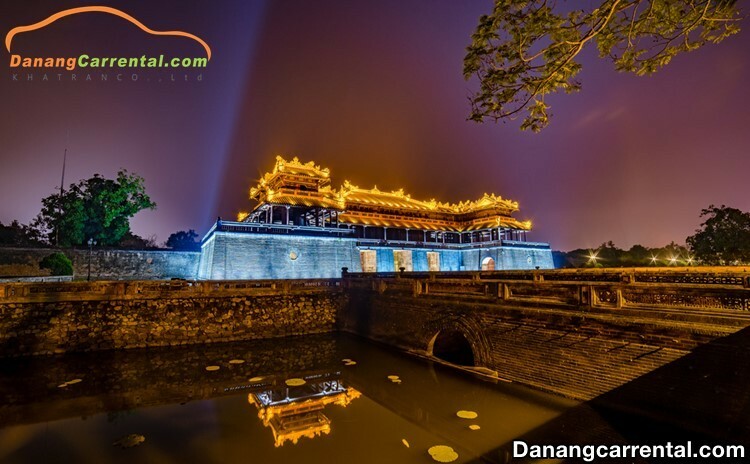 It can be said that in the history of modern Vietnam, Hue Citadel is the largest and most grandiose architecture. It not only represents the development of the country, but also reveals the crystallization of aestheticism, architecture, and human’s creation. Hue Citadel is a popular Hue tourist destination that can not be missed by visitors to the capital.